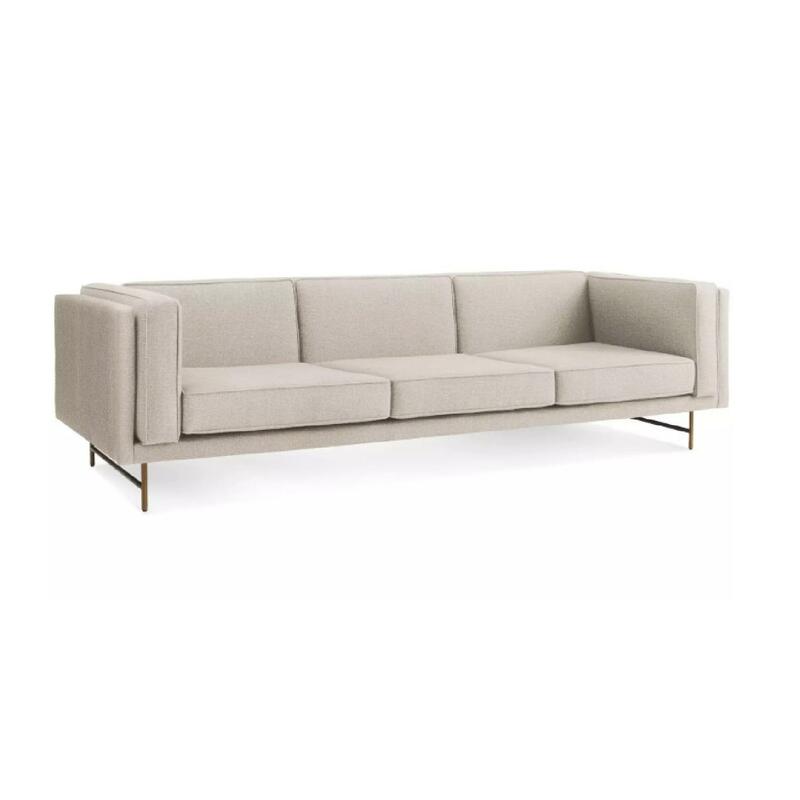 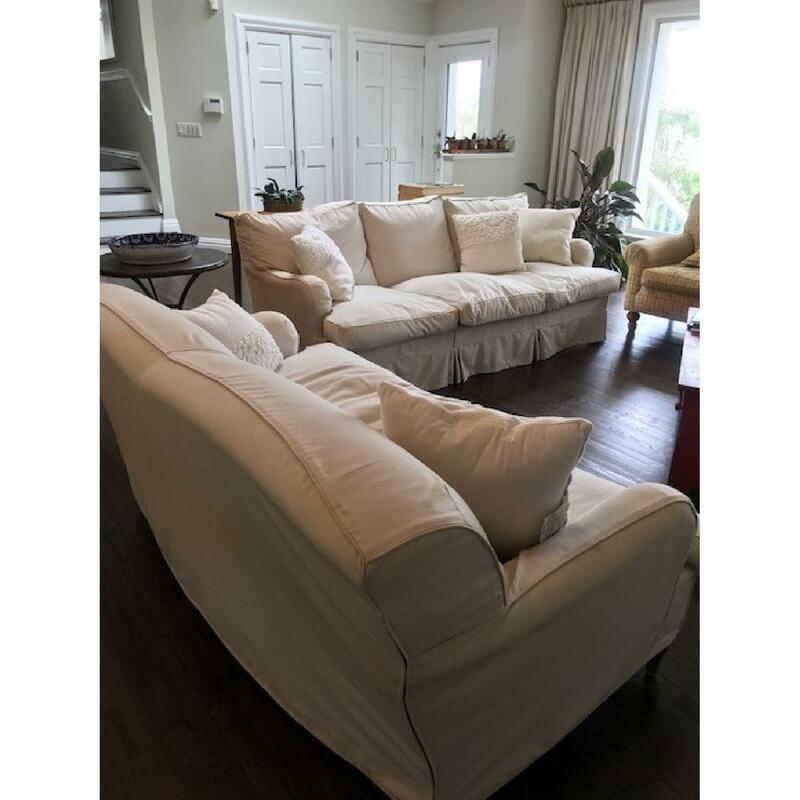 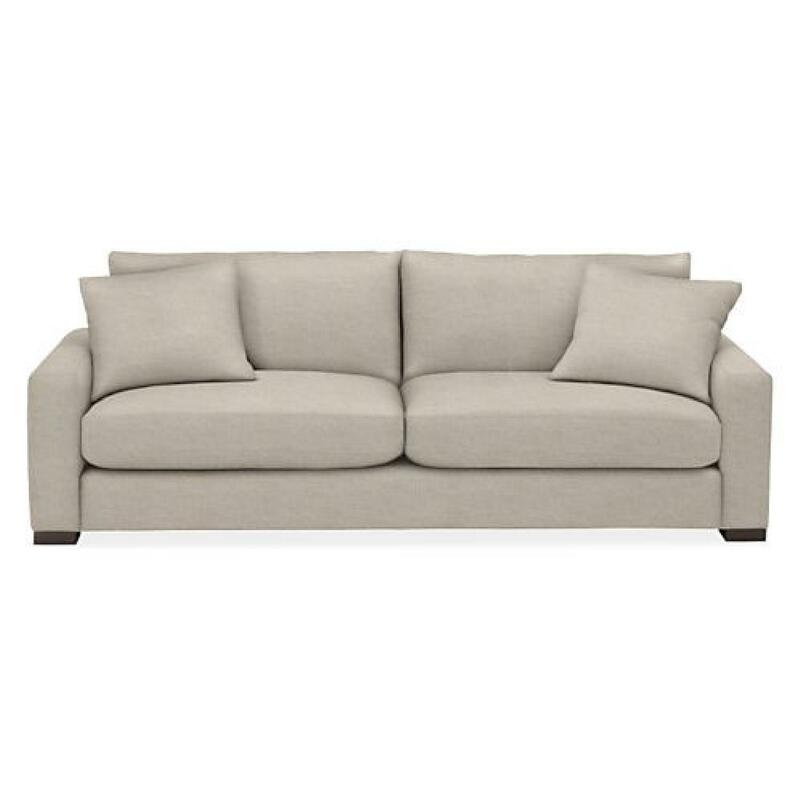 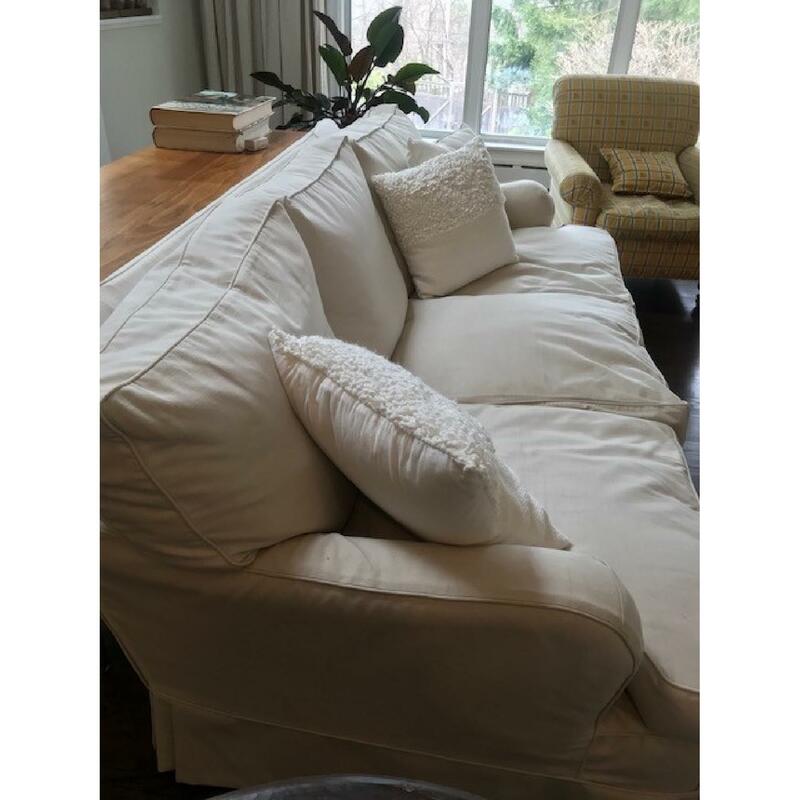 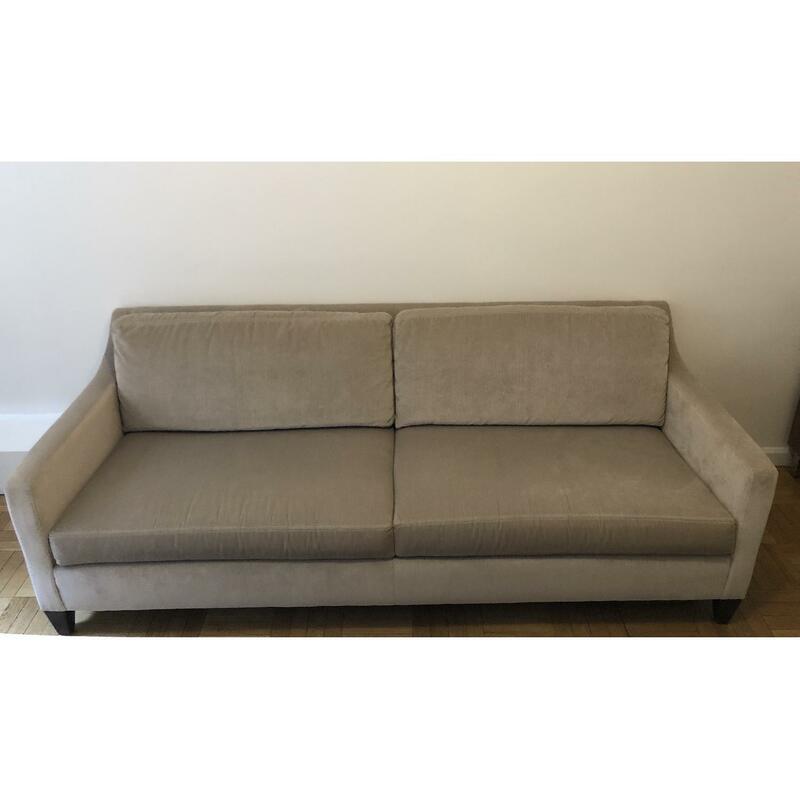 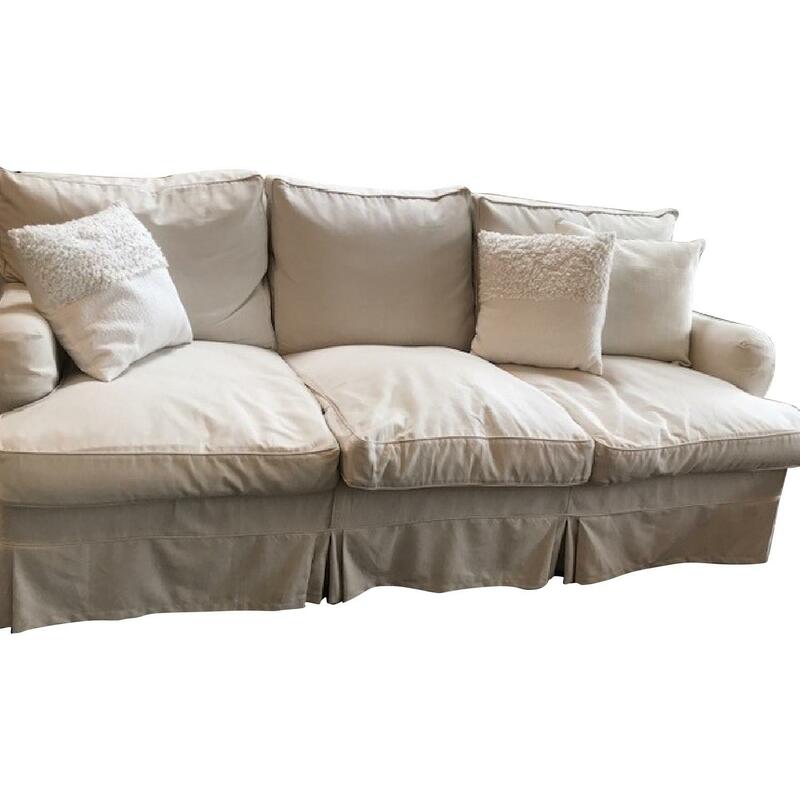 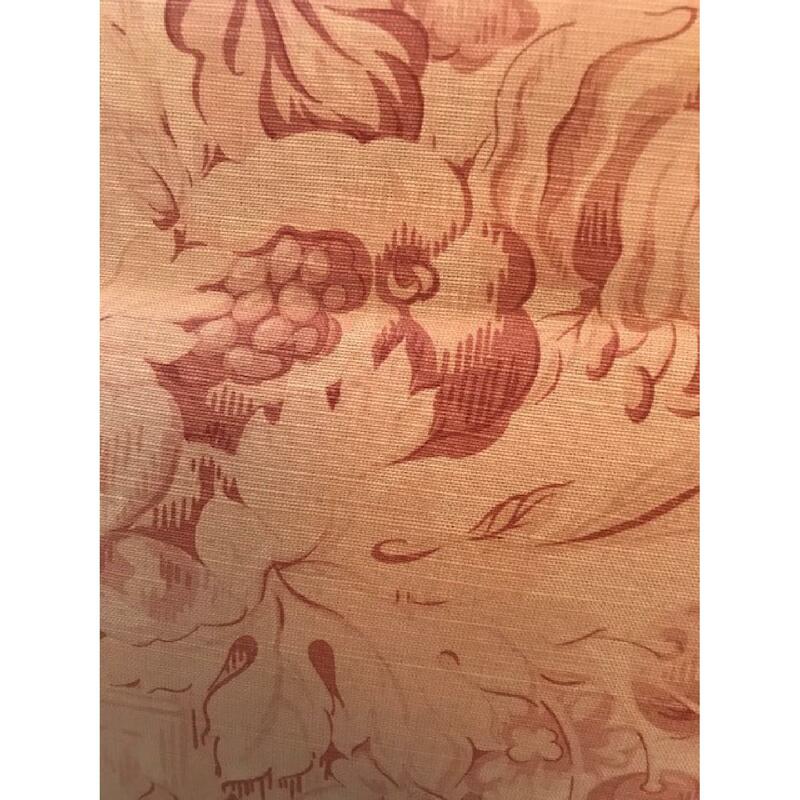 This three seater George Smith Couch has slipcovers (natural color) underlying fabric has never been exposed to light. 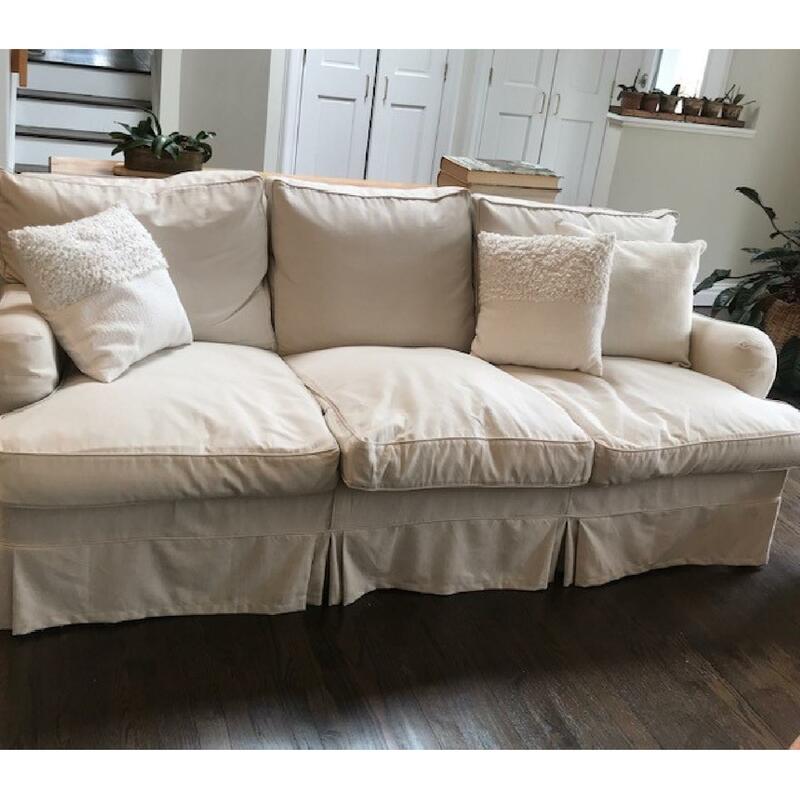 good condition as we never used our living room. 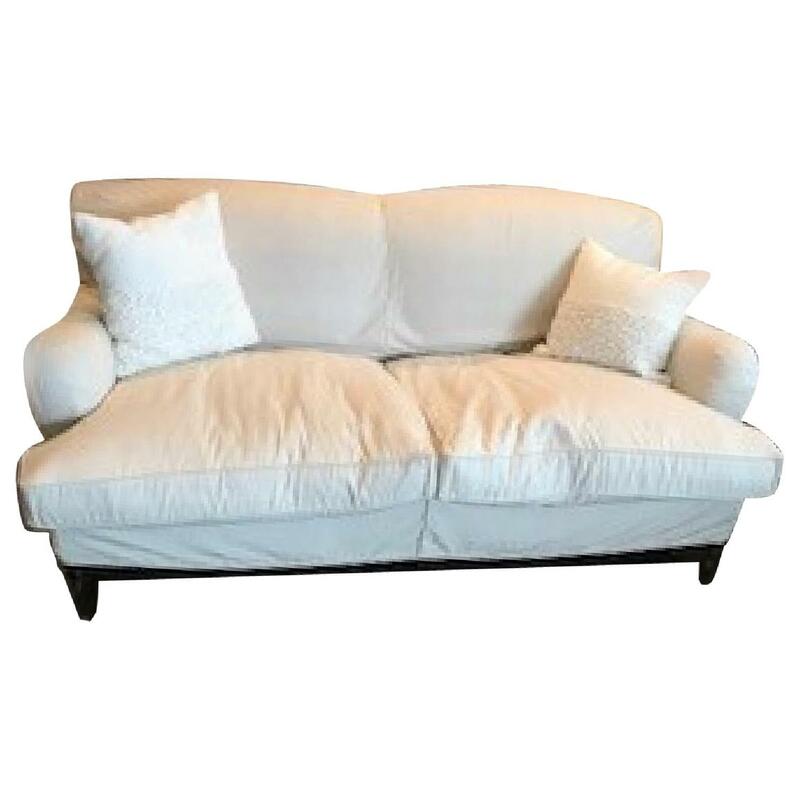 down couch pillows, casters and timeless.